Very happy with the results, my 14 years old dog gained some extra energy and was able again of jumping and running around. 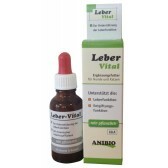 For over a year I have been giving Arthridia to my German Shepherd, a female who is 15 years old, together with Flexasure. At first I gave the 2 products twice a day in the acute phase; Now for maintenance, seeing the great results, once a day on a daily basis. I am very happy to see her walking on her feet, she even does small runs, she is active! I recommend it to all those who care for their four-legged friend! Giving this to our 11 year old Springer Spaniel who had been having pain and very stiff in back legs. Pain has lessened and he loves chasing and catching things again. If you want more detailed information about this product, please search over the web for the manufacturers official page by inserting "Natural Wonder Pets Arthridia" or contact our customer service. 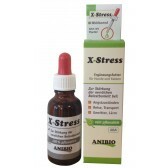 I bought this specific product to give some relief to my Beagle who is now 12 years old and has arthrosis problems. Since we have used this great product the dog ha improved a lot, the tremors have decreased and he is back to play. My personal advice is to try it if your pet has with these issues. It will give him some relief and happiness to you. It seems to me that my 14-year-old labrador is responding well. 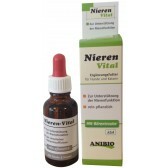 I am very happy to have found them, it is a great natural help !!! Just like that, in less than a month I saw agai my beloved 12-year-old Cannella suffering arthritis from long term arthritis running again . I keep giving her Flexasure 2 times a day but I'm confident and very satisfied with Arthridia's effect as well. Extracts without alcohol Root Rehmannia, Bupleurum root, root Sasapariglia and root ginger, distilled water, vegetable glycerin organic apple cider vinegar, citric acid, all certified USP (Pharmacopoeia Americana), Kosher, no GMO. Very effective. My 9 yearsl old german shepard runs and plays like crazy. I have a Czechoslovakian wolf who has arthritis and after a traditional treatment with anti-inflammatory drugs he seemed to get . Unfortunately his relief did not last long and soon he was again struggling to walk .... we started giving him this product and the results occured right away. Several months later he is better, runs and jumps.